Ronnie Fieg and LeBron James have been blessing their high schools with the latest Kith x Nike LeBron 15 collaboration. The latest exclusive pair was designed for Ronnie Fieg’s Queens’ Cardozo High School limited to only 40 pairs. 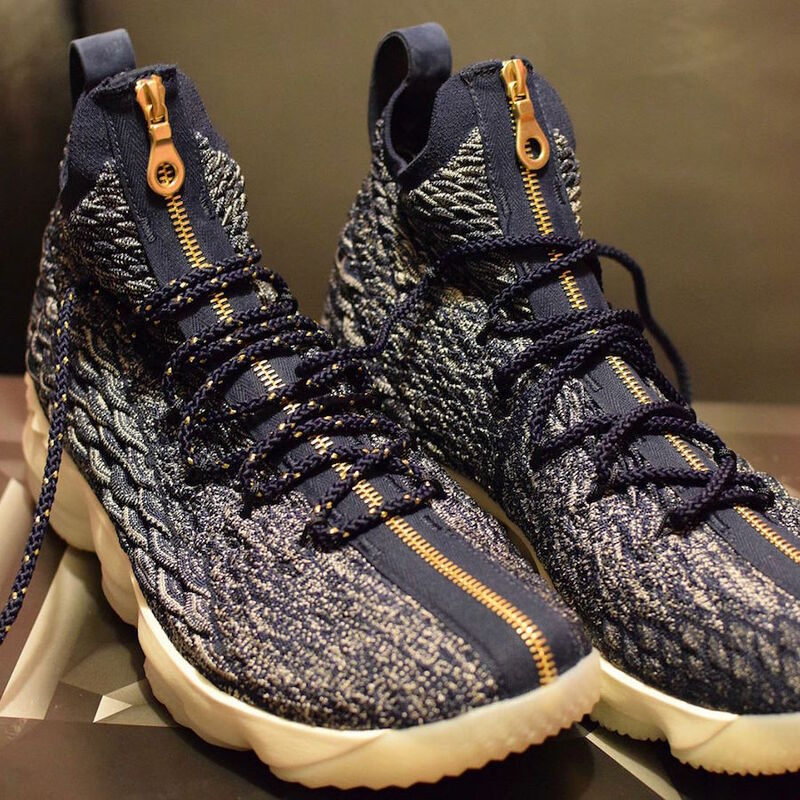 This Nike LeBron 15 features a Navy-based upper paired with Gold hardware and branding along with White detailing. Dual branding appears on along the tongue and heel tabs. While this KITH x Nike LeBron 15 Cardozo colorway won’t be releasing to the public, you can expect the zipper variation of the LeBron 15 to officially debut soon.